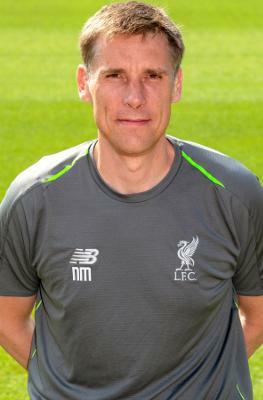 Nick Marshall joined Liverpool's Academy as head of Academy football operations in August 2014. A UEFA Pro Licensed coach, he arrived with over two decades of experience having previously worked for Barnsley and Leeds United as a coach, the Football Association as a coach mentor, and Nottingham Forest, where he was Academy Manager for 14 out of his 16 year spell there. Marshall's role in Kirkby involves working closely with staff to provide the necessary support they require to deliver world-class coaching. He is also responsible for implementing the Elite Player Performance Plan and works with the player recruitment team. Click here to read more about Marshall.